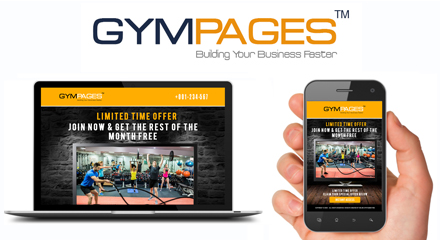 Please Note: Gym Pages™ is billed in AUD and is an ongoing subscription monthly. To agree, view the terms & conditions by click here, then submit for instant access. There are some errors in the form, please review and submit again. In registering for Gym Pages™ you are deemed to have read and agreed to the following terms and conditions: The following terminology applies to these Terms and Conditions, Privacy Statement and Disclaimer Notice and any or all Agreements: “Customer”, “You” and “Your” refers to you, the person accessing Gym Pages online software systems and accepting the Company’s terms and conditions. “The Company”, “Ourselves”, “We” and “Us”, refers to our Company. “Party”, “Parties”, or “Us”, refers to the Customer and ourselves, or either the Customer or ourselves. All terms refer to the offer, acceptance and consideration of payment necessary to undertake the process of our assistance to the Customer in the most appropriate manner, whether by formal meetings of a fixed duration, or any other means, for the express purpose of meeting the Client’s needs in respect of provision of the Company’s stated services/products, in accordance with and subject to, prevailing English Law. Any use of the above terminology or other words in the singular, plural, capitalisation and/or he/she or they, are taken as interchangeable and therefore as referring to same. excludes all liability for damages arising out of or in connection with your use of Gym Pages online software systems. This includes, without limitation, direct loss, loss of business or profits (whether or not the loss of such profits was foreseeable, arose in the normal course of things or you have advised this Company of the possibility of such potential loss), damage caused to your computer, computer software, systems and programs and the data thereon or any other direct or indirect, consequential and incidental damages. Only Visa and Mastercard are acceptable methods of payment. All prices are charged in AUD (Australian Dollars). Exchange rates may vary from day to day. The subscription for Gym Pages™ is $79 AUD per month. Subscription is ongoing until cancellation and debits will be withdrawn automatically. Monthly subscriptions are billed every 3 months. All goods remain the property of the Company. Upon your initial subscription, Customers will gain immediate direct access to Gym Pages™ via log in details which will be emailed instantly upon subscribing. Customers can choose to cancel their software subscription at any time. Minimum 72 hours-notice of cancellation is required to process the cancellation (prior to the next direct debit date). Notification of cancellation MUST be done in the backend dashboard of the Gym Pages™ software system. No other form of communication will be received. Note that you will lose all of your Gym Pages™ online templates including all lead reports once your subscription has been cancelled.